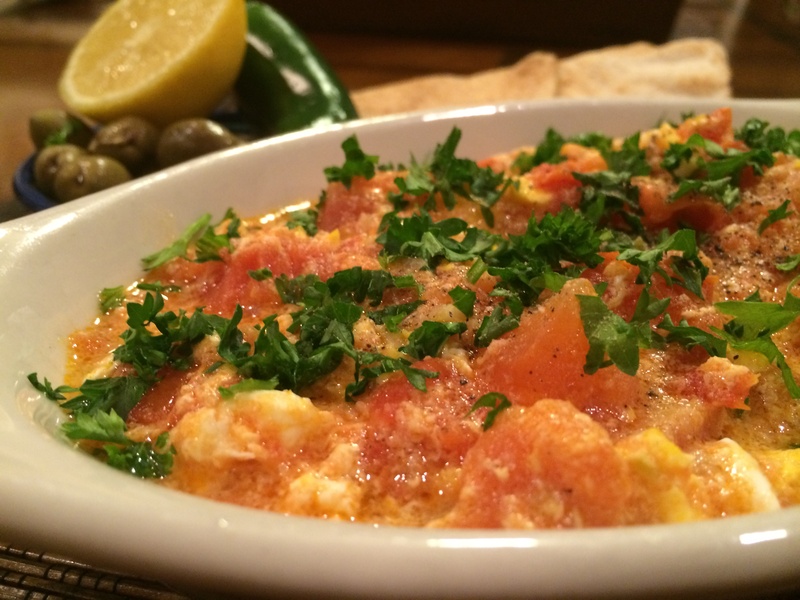 Shakshukeh is a dish made of sauteed tomatoes, eggs, and chili pepper, and flavored with garlic and olive oil. It’s a well known dish in Palestine and all over the middle east, sometimes with different names. This recipe with the hot chilies comes from Gaza. 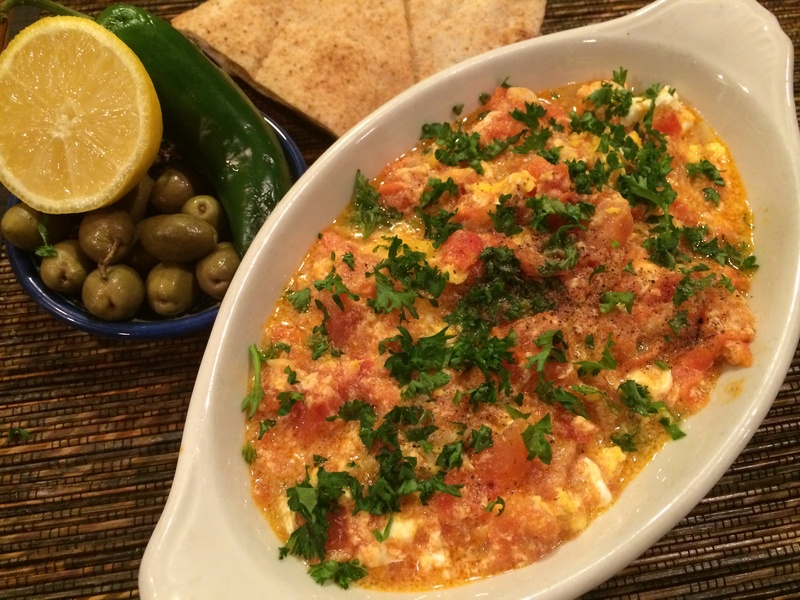 Shakshukeh is an easy to prepare recipe. 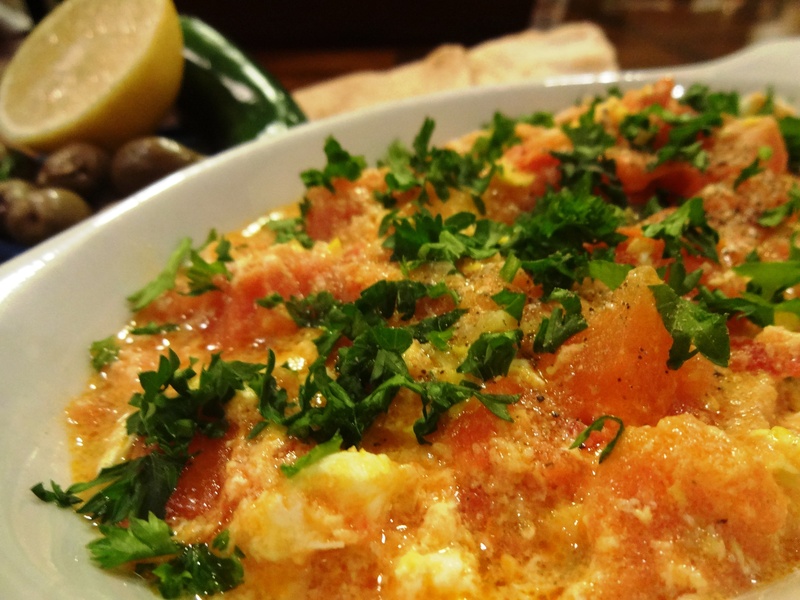 In Palestine it’s served as a light dinner or a weekend breakfast. Cut the tomatoes into large cubes, mince the chili pepper. In a sauce pan heat the olive oil, add the tomatoes, crushed garlic and the minced chilies. Add a pinch of salt, and lower the heat to medium-low. Cover the pan and let cook for 10 min. Crack the 3 eggs directly on top of the sauteed tomatoes, add a pich of black pepper, stirring the mixture once. Cover the pan and let it cook until the eggs whites are well done. Garnish with parsley and serve hot with pita bread.